The experience inspired the memoir Precious Cargo, which was defended by tornado chaser Greg Johnson on Canada Reads 2018. A few years ago before his writing career took off, Craig Davidson needed to make ends meet, so he took a job driving a school bus for students with special needs. 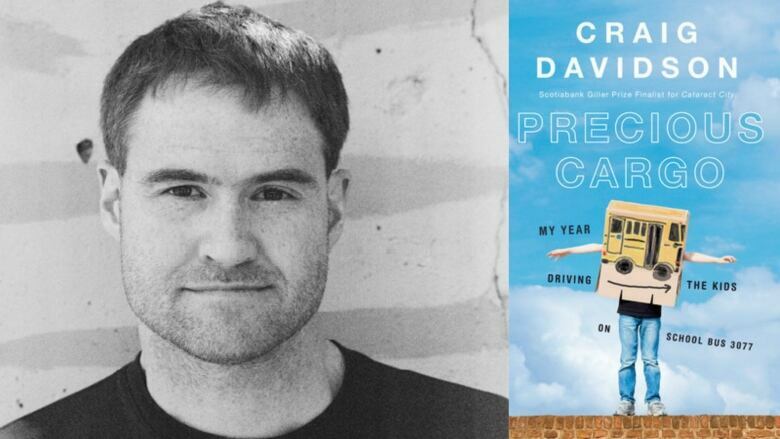 Davidson shares that experience in the memoir, Precious Cargo: My Year of Driving the Kids on Bus 3077, which will be defended by Greg Johnson on Canada Reads 2018. Shelagh Rogers spoke with Davidson in May 2016, when the book was first published. This interview aired again on Feb. 26, 2018. "I thought that I was going to be driving a big bus and have encounters that would go along the lines of opening the door, the kids would come on and maybe we'd smile, maybe we wouldn't. I would drive 60 of them to school and they'd be as faceless to me as I am to them. But I ended up driving a special needs route, which are always smaller. There were five kids — four boys, one girl. I formed friendships with all of them and it was completely surprising to me. I was bushwhacked in the best possible way by these encounters." "Up until then, I had been a fiction writer. In fiction, you come to love that character, but you don't actually owe that character anything. They don't exist in the real world, they don't have a family or emotions. But when you're dealing with a memoir or nonfiction — this was my first attempt at that — you recognize that at the end of your pen, these people that you are writing about are real people, they have feelings and they are going to keep existing when the book comes out. They have families. It's just something that I was aware of every moment while I was writing." "It was transformative. You never know what you need, until that thing comes out of the blue and finds you. That time with those kids just came and plucked me up when I needed it the most. And I'd like to think that I was able to help those kids in my small way. I wouldn't trade even the worst day on the road with those kids for any other day I could have possibly had."